This Volkswagen Golf VR6 was what you moved up to when the hot-hatch GTI was no longer floating your boat. The Golf Mark III VR6 was sold from 1992-98. 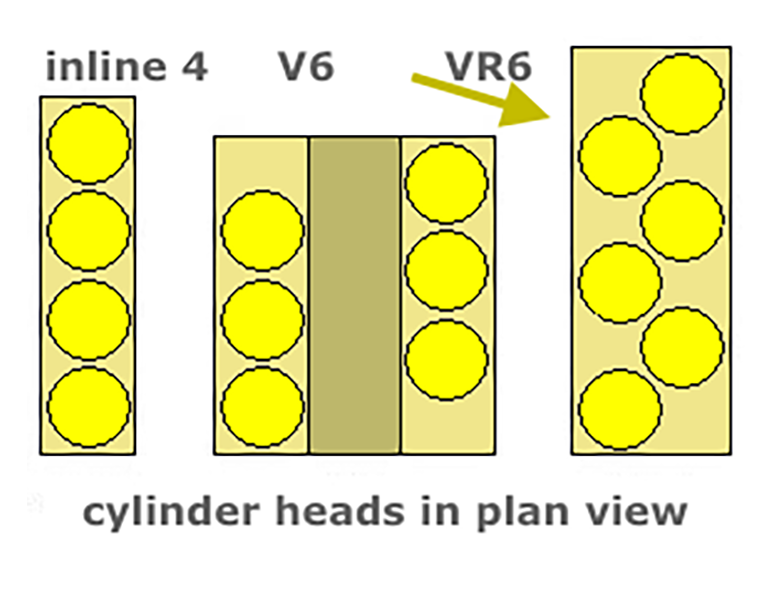 It got its name from the engine — VW’s VR6, which is a V-6 with a cylinder angle of only 15 degrees which allows the use of just one cylinder head (see illustration), and it was designed specifically for front-wheel-drive vehicles. Being a six, it is much smoother than a four, and its legion of fans love the sound it makes. Saw this yellow example a few weeks ago in Niagara Falls.